It would seem that as the sun shines, it shines in vain on a population seemingly bent of ignoring the forecasts that dangerous rains are around the corner. "I haven't seen any significant change in the area of preparedness," said Severin McKenzie, an architect trained in disaster risk reduction. It would appear that while the skies are blue, cloudless, its clarity hovers in futility over a people determined to disregard the fact that the storm clouds are building. "It's not a lack of preparedness, it's complacency. I would place a lot of the blame on complacency," stated Cecil Shillingford, a former national disaster coordinator and now a disaster risk management consultant. As the 2013 hurricane season begins – and with forecasters predicting a very active season- experts here suggest that the general population continues to display an arrogant sense of casualness and callousness. It's almost as if the country were practicing rejection realism with risk reduction. "I believe that the people, having gone through that drill for many years, they are well au fait with the procedures of that to be done," Shillingford told The Sun when asked if the country was prepared for this hurricane season. "It's not that they do not know. They know but we just do things at the wrong time." Virtually no one, he suggested, stocks up on hurricane supplies while the sun shines. "It's only when a system is announced people rush to the supermarket, it's when they check to find where the shelters are…when a system is announced you can't get bread at the supermarket, (there are) long lines at the gas stations." What we see, suggested McKenzie, isn't simply a sad slide towards complacency and lassitudinous, but an attitude that lurches towards a painful state of atrophy. And not just the ordinary citizen. Virtually no one, he suggested, takes risk reduction seriously. "They are still in the antiquated approach of having people in disaster relief committees as opposed to preventing disasters from happening," McKenzie told The Sun. "If you know you house is not strong enough, before a hurricane you can strengthen it. So be proactive and retrofit your house. We are not moving in this direction at all." The experts painted a picture of a country whose defining principles are yet undefined, a country which is a walking and stunning refutation of the old scout motto of being prepared. "We still see quite a number of waterways blocked. We haven't seen any evidence of a concerted effort to clear the drains, for example," McKenzie said. "We know that some of the damage to our roads is because of blocked drains." "Not enough attention is placed on risk reduction. That has to be high on the national agenda," added Shillingford. The picture painted is that of a people's judgment, once so sound, is now so suspect, so flawed, that they virtually wait to be swept away by the storm before heeding the warnings. "I think it will get worse," Shillingford said. "To get the next generation in line with this thinking of preparedness is (going to be) a tall order." This utter disregard of the dangers cannot be blamed on absent leadership, argued Shillingford. At least, not from the people whose responsibility it is to prepare the nation. "It's not for a lack of providing information because information has been out there for a long time," he explained. The man who currently occupies the seat once held by Shillingford agrees. For all the gathering gloom and lack of urgency among the general population, he said, the Office of Disaster Management has remained faithful to the cause, pushing the message of readiness and trying to practice what it preaches. "I would say Dominicans are fully aware what to expect and what they should be doing. 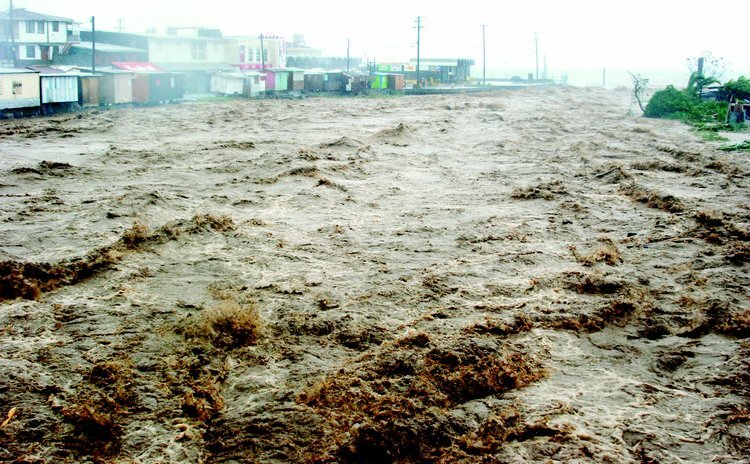 We have had programmes educating the public," said Don Corriete, the acting national disaster coordinator at the office of disaster management. In the week leading up to the start of the hurricane season, the ODM organized an education programme "to help people (become) aware of what they should be doing" to reduce the risks of hazards, including hurricanes. The activities included school and community outreach programmes and a "national risk reduction day" where the population was called upon the clear drains and "clean up the country." In addition, said Corriete, a four-day mass casualty programme targeting first responders begins today and on 7 June, a simulation exercise is being organized with the petrol companies. "Generally, Dominicans are prepared to (cope) with a hurricane," the acting ODM head said. "With our topography we will suffer damage. The question is, how do we mitigate? And mitigation comes at a cost." But, according to McKenzie, if you think mitigation is costly, try having to rebuild after your home has been destroyed by a hurricane. The sun won't shine in vain if the country listens, and acts.